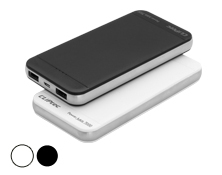 CLiPtec PPP207 Polymer Portable Charger is high capacity high grade Lithium-Polymer battery and fully meets the daily demand of all digital devices. The compact, low profile design easily slips into a pocket for convenient portability and ready access. 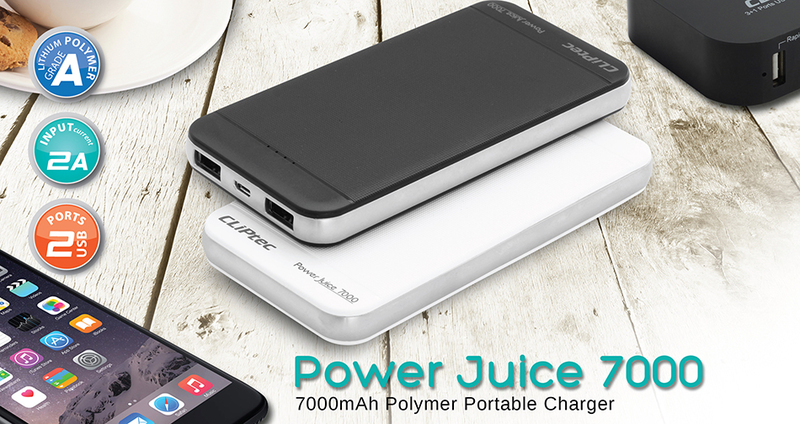 Powerful 7000mAh high capacity Lithium-Polymer Battery. Compatible with smartphone and tablet with Micro USB charging input. Simply connect it with any USB powered device to recharge. Intelligent LED indicators percentage bar will indicate the current battery status. Over-charger, over-discharger, overload and short circuit protection function.